Relying on electronics is a fool’s game at best. 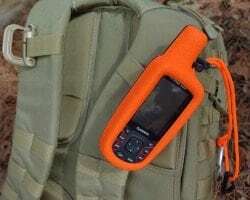 The new term is “Death by GPS” but you could expand that to any technology in your Bug Out Bag that you are relying on. Remember, when it comes to gear “Two is One and One is None”. Having served in the Marine Corps I’ve seen numerous occasions when various electronics have failed and left the mission in jeopardy. I’ve also read various news articles about people relying on their GPS systems only to be lead down dead end roads or otherwise stranded in the middle of nowhere. My best advice is to have manual backups for the electronics in your pack (and your home) and know how to use them. A GPS is a great tool to have, but if something happens to the satellites and you’re forced to bug out and all you have in your pack is a GPS, I’m afraid you’re out of luck. We’re coming up on a time of heightened solar activity, so this kind of scenario may not be as far fetched as you might think. All it would take is one good solar storm and the power grid could be down for months – or longer. If you’re trying to walk to a redoubt with only a GPS to navigate by and the satellites are not working, chances are excellent you’re going to get lost unless you’ve memorized how to get there – or you have a map and compass as a backup. Another thing that could cause problems is a battery resupply. If you wind up in the field longer than you expected and don’t have enough batteries on hand and no way to get more, your electronics will start to die one by one. And if you think you’re going to carry a years’ worth of batteries in addition to ammunition, weapons, food, water, shovel, knife, saw, and other survival gear I would highly suggest you put it all in your pack and take it for a ten mile spin through whatever terrain you think you might be walking through if SHTF. I’ve carried sixty pound packs plus a PRC77 radio on many forced marches and I can tell you right now it was hard at 20 when I was in great shape, much less these days now that I’ve been a civilian for many years. Most people simply don’t have the conditioning to do this. These days I feel comfortable with a 40 pound pack for ten miles, but certainly wouldn’t want to carry it more than fifteen miles in a day and I know there are people out there in a lot worse shape than I am. Therefore, my advice is to have a compass and map of the area you expect to be operating in and know how to use them. A couple of quick questions: Can you determine the declination constant on your map and adjust for it? Can you find where you are on a map using terrain association or by using two back azimuths? Do you know what your pace count is for 100 meters or 100 yards? If not, you might want to learn or at least brush up your land navigation skills. Another idea is to have a wind up radio and flashlight on hand. It gets dark in the woods at night especially if there’s no moon or it’s overcast. The radio can help you figure out what’s happening (if someone’s broadcasting) and the light could prove invaluable to finding your way. For communications your cell phone or your hand held radio may not be working. If communications is important you may want to designate drop sites along the route where you can leave or pick up messages from other members of your group that you may be separated from. Do you have more ideas for backups? Please share them below. As I’ve said before, I’m no “Luddite“. I love technology and computers, but in the past I’ve seen electronics fail and if you’re dependent on them you could find yourself in big trouble some day. Have backups with you and a plan on what to do with and without your technology.